What exactly does the term “summer slide” mean? Unfortunately, it’s not a playground equipment that you can buy for your students’ or own kids’ enjoyment during summer. Summer slide actually refers to the loss of academic skills – especially math and literacy skills – that occurs during summer break. We hear again and again how kids are encouraged to read a lot of books or engage in summer activities linked to reading during summer. However, math and science should also be given the attention they deserve. According to studies, math skills tend to decline more during summer, since kids tend to be more likely occupied with reading tasks. Science is also pushed aside with video games and other areas of interests being pursued more. 1. Play games. Math games don’t only provide hours of fun, but also help prevent the dreaded summer slide. You might be surprised that something as simple as multiplication and division flashcards can help keep math skills sharp. Card games also provide math practice. Good old board games like Monopoly can assist in keeping math skills fresh as well, when you let kids acts as the banker. 2. Cook or bake. Summer is the perfect time to practice math skills through cooking or baking with children. Aside from having to read and follow directions, young kids can exercise number recognition while older ones can practice ratio and proportion with ingredients. 3. Watch sports. Watching a game of soccer, football or basketball live or just on television can help kids fight the summer slide. Children can be given a piece of paper and a pen, and asked to calculate statistics along with the experts. 4. Set up a lemonade stand. Setting up a lemonade stand might sound simple, but helping children run a drinks stand also means helping boost math skills. Kids will be measuring ingredients and managing money while having fun! 5. Play travel games. Families usually do some traveling during summer. It can be a great opportunity to practice math skills. Kids can count vehicles of a particular color, round the prices of gas, or add up all the numbers on license plates. 6. Plant a garden. Starting a garden and watching plants grow are truly exciting for kids. They can keep a record of the growth of specific plants by drawing what the plants look like on specific number of days and even write down their observations. They can also view presentations and do crafts to enrich their knowledge about plants. 7. Go camping. What better way to interact with nature than while camping! Kids will have a lot of opportunities to observe the world around them during this time. Aside from giving everyone in the family some screen time off, camping also provides a chance for parents and children to discuss the importance of taking care of Mother Nature. 8. Visit the zoo. A visit to the zoo can surely pique children’s interest in animals and motivate them to learn more about animal life. After a family field trip to the zoo, children can do some research on their favorite animals or create crafts on their life cycles. 9. Build a robot. Robotics has been quite popular for some time now that so many cool and kid-friendly robot projects for kids are available on the Internet. Tutorials outline the materials needed and even the step-by-step instructions to be followed on how to construct robots ranging from the simplest to the most complex ones. 10. Do science experiments. Of course, if you want to develop scientific skills and stop summer slide in children during summer, engage them with science experiments! Kids will surely love experimenting with ice, bubbles, cream, and other materials that can be found mostly in the house! Just search for summer science experiments on the Internet and you’ll be blown away by the number of science experiments that kids can do easily and inexpensively at home! Children will understand the scientific method better with such activities, too. It’s so tempting to just let the kids play all they want since it’s the summer break. Unfortunately, summer slide is a reality for many kids. A balance of activities that children already love – such as playing computer games, skateboarding, or shopping – and activities related to reading, Math and Science will help kids to have a summer that is worth remembering. It’s one with no summer slide on it for sure! 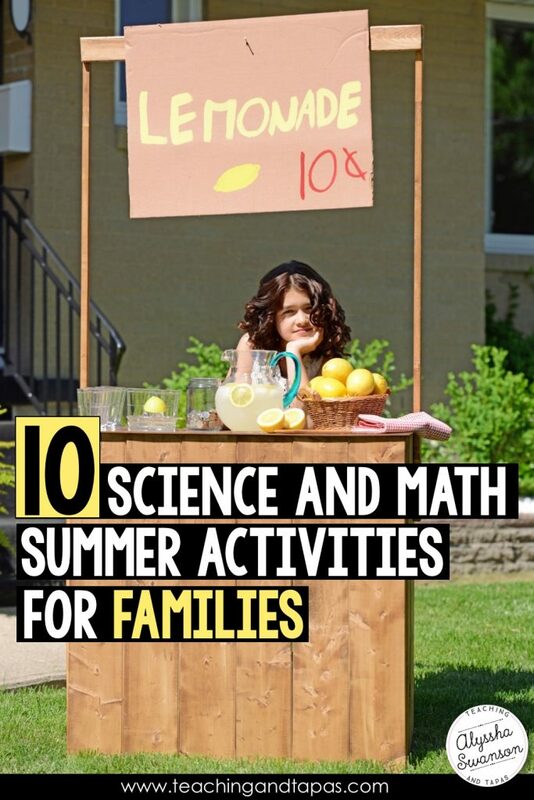 Doing science crafts can be a great way to combat summer slide, too. 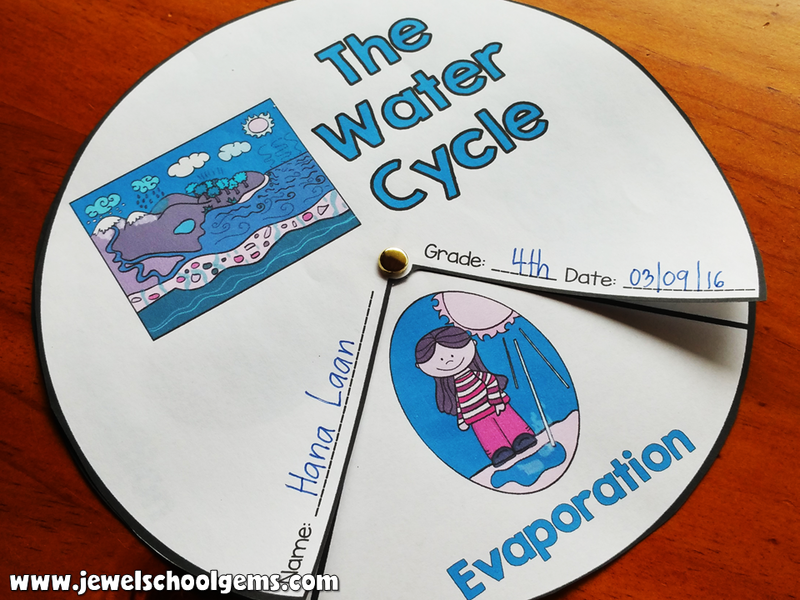 As such, I’m giving you this Water Cycle Wheel for FREE! Enjoy and I hope you’ll have a great summer! Jewel Pastor is the resident creator of curriculum gems and student-centered miracle worker extraordinaire at Jewel Pastor on TeachersPayTeachers. Having taught kids with different cultural and linguistic backgrounds for over a decade, she loves integrating English and Art with Science and Math to make sure that students come out of the classroom with a thorough understanding of the concepts presented in class. For remarkable, hands-on and exciting Science and Math resources, ideas and inspiration for the elementary classroom, you can connect with Jewel on her blog, Facebook or Instagram. As a parent, blogs like this are so helpful! Thank you! I love that the options are things that every parent can do. So much better than a list of helpful teaching websites. THIS is what learning is based on!